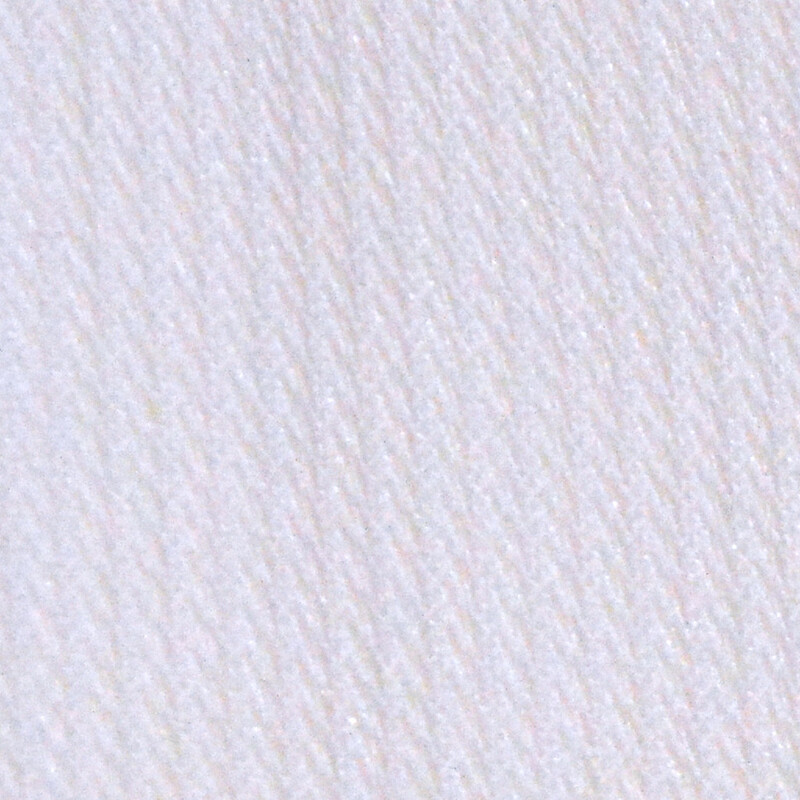 SKU: ADI-1004W. 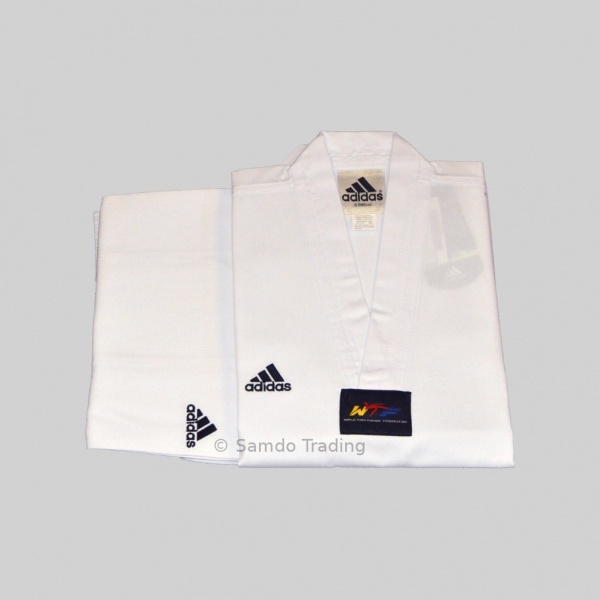 Category: Uniform. Tags: dobok, Uniform. 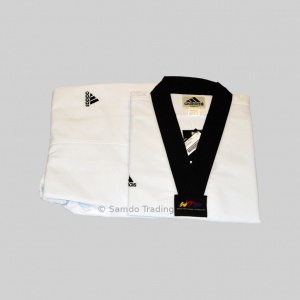 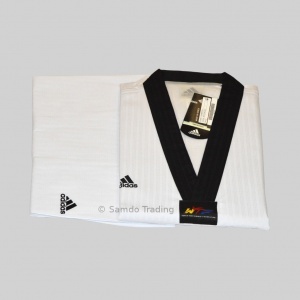 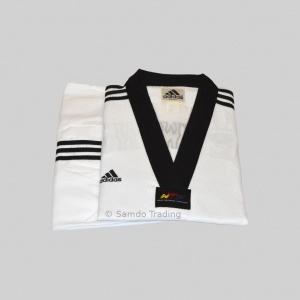 Adidas Taekwondo Uniform White V-Neck Elite 65% POLY, 35% – cotton embroidered Taekwondo lettering on the back. 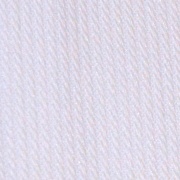 Elastic waist band on the trousers.